We’ve been fans of Montalto for a while now, from the great restaurant to the easy-going piazza, and of course, their amazing sculpture park. But the time came for the award-winning restaurant to take the next steps in its evolution, and that involved a major revamp just in time for the summer crowds. 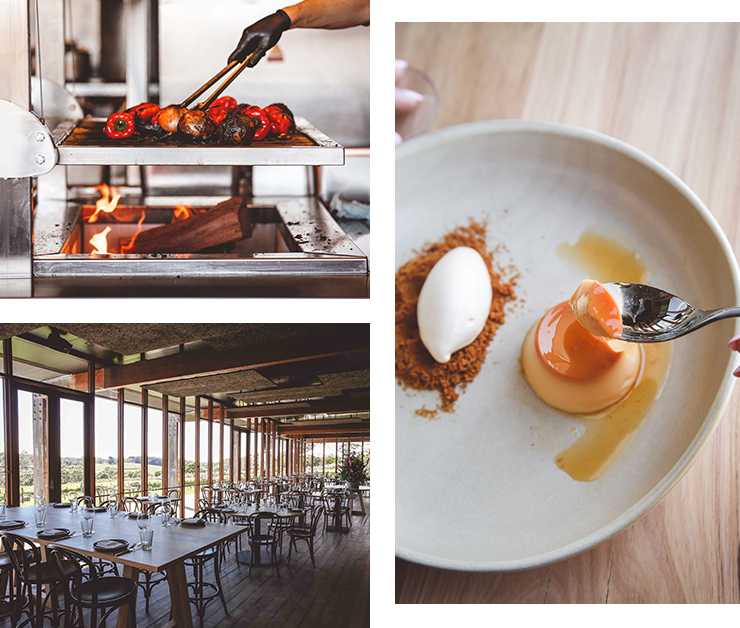 Along with the obvious changes to the space visually, the menu has also been changed, and has been stripped back to focus on fire with the introduction of an asado grill—a traditional cooking method from Argentina. The new menu will still be heavily influenced by their expansive kitchen garden, which now fills up a whole 4-acres on the property. Meat, fish, and fowl are all locally sourced from producers that include Milla’s Farm Ducks of Mount Macedon, and Milking Yard Farm in Trentham. Along with changes to the food, the restaurant will also take on more of a sharing ethos with the food, a considered change from the white tablecloth style of the previous incarnation. Montalto's restaurant is open for lunch daily, and dinner on Friday and Saturday night until December 24 with a la carte, a 5-course tasting menu, and an 8-course chefs menu available to munch on. Did you hear Melbourne is getting a massive inflatable obstacle course? Well, read all about it here.